According to neuroscientists at McGill University in Montreal listening to music makes you happier. Undoubtedly you have experienced all the feels when your favorite tune plays or felt exuberant after attending a live music event. What’s more, researchers at Deakin University in Victoria, Australia discovered there is a pleasure connection between people who actively engaged with music through dancing and attending events like concerts. The subjects reported a higher level of subjective well-being. This summer we encourage you to take advantage of live music events, but in a safe manner. One of the best ways to ensure safety is to hire a car service for music festivals and shows. 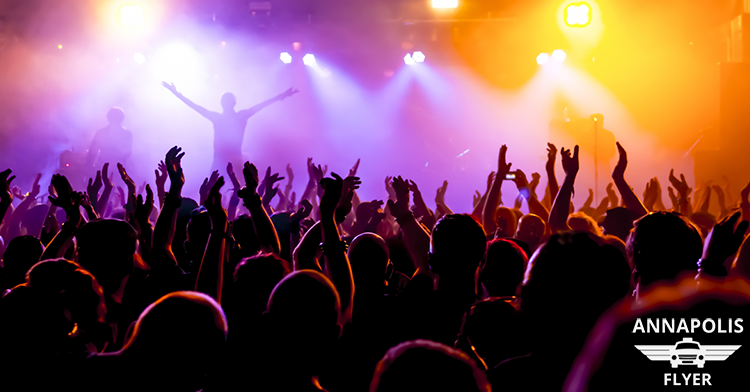 Here are some of the benefits of listening to live music, and why you need to hire a car service for concerts. Studies have found that when you listen to music, especially music that you relate to, your brain releases dopamine. This is the pleasure chemical that motivates people. Furthermore, the study showed that even anticipating the next song can get that feel-good chemical to fire up. Researchers discovered that music-induced pleasure created a surge in positive emotional arousal as well as an increase in heart-rate, pulse, and breathing. Even giving people the shivers or chills! There was also evidence that music increased blood flow to regions of the brain associated with dopamine. That being said, we can correlate a connection between harmony and increased happiness. Another study took the positive effects of music literally one step further. It found a correlation between movement, music and an even higher level of well-being. There was a difference between those who listened to music and those attended live music events and who danced and moved to the rhythm. The psychology suggests it could be all about the emotional and social connections. Researchers claim that attending a concert for just 20 minutes increased participants feelings of well-being, happiness, and feelings of self-worth by about 20 percent. Further, fans who attended music events twice a month or more were most like to experience the greatest mood improvement. Did you know that according to the Maryland DMV, being charged with a DUI on your first offense could mean losing your license for up to 6 months, up to a $1000 fine, up to 1 year in prison, and 12 points on your license? If you get charged with a DWI, your first offense could lead to a license suspension to up to 60 days, a $500 fine, up to 2 months in prison, and a total of 8 points on your license. Maryland takes DUI first-time offenses very seriously! There is no such thing as being a skilled drunk driver. So, never take the chance. Never worry about drinking at a music festival or trying to order an Uber and deal with price surges. Hire a car service for concerts, and you will have all of your travel plans arranged beforehand. Nothing could be more convenient, safe, affordable, and reliable! No matter where you are or what time of night Annapolis Flyer Cab offers car services, 24 hours, seven days a week. Our drivers accept all forms of payment, including all major credit cards for your convenience. You can make an appointment, or set up a pick and drop off time, as well as a return trip itinerary. Add our number to your phone 410-766-7433. Be safe out there friends!